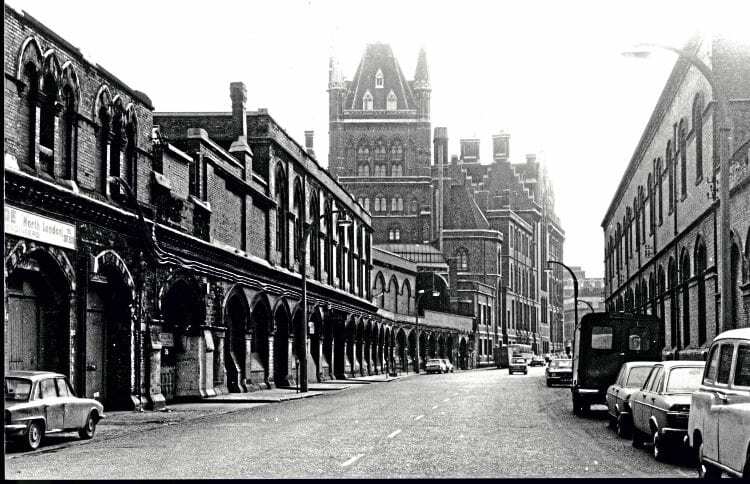 St Pancras was the Midland Railway’s contribution to the London railway scene. Its splendours were not surpassed by any terminus built subsequently. Robert Humm reviews the life and times of the great station. 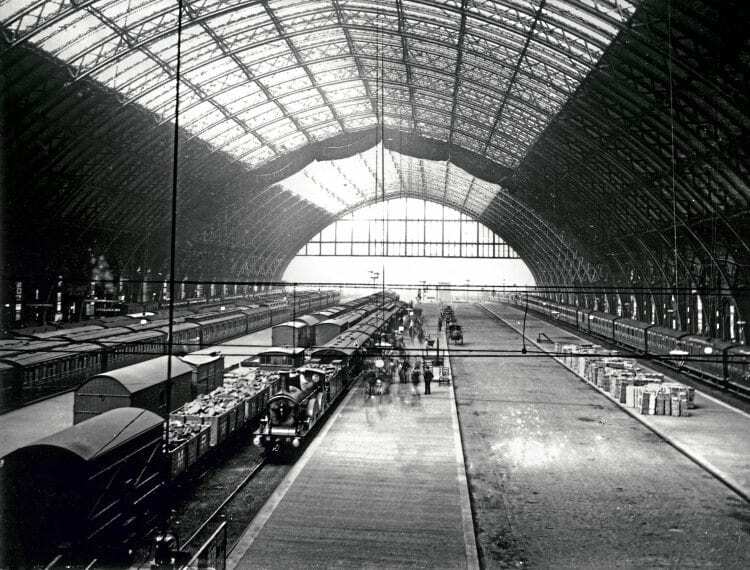 In this feature I shall be looking at the history of the ‘operational’ side of St Pancras station, the opening of which took place 150 years ago on October 1, 1868. The Midland Grand Hotel, which was always a separate venture and did not open its doors until several years later, deserves special coverage and will be dealt with in a future issue. The Midland Railway was the great provincial outsider among 19th century railway companies. Formed in 1844 by an amalgamation of the North Midland Railway (Derby to Leeds), the Midland Counties Railway (Derby to Leicester) and the Birmingham & Derby Junction Railway, it grew prosperous on medium-distance passenger traffic and short-haul coal from the East Midlands and South Yorkshire coalfields. Capturing the greatest of prizes, a through route to London, took 20 years and was beset by railway politics. 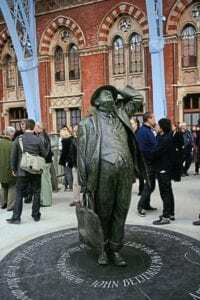 In those early years the cities and towns of middle England — Leicester, Derby, Nottingham, Chesterfield, Sheffield — were ill-served by the early railway system as far as London connections went. The earliest solution, of a sort, was the Leicester to Rugby line of 1840, over which London traffic could be handed to the London & Birmingham Railway (later London & North Western), but at a cost to the Midland companies of more than 80 miles of revenue. By 1857, the Midland, spurred on by the coal owners, had reached the Great Northern at Hitchin by way of Bedford, a further 67 miles south from Leicester. 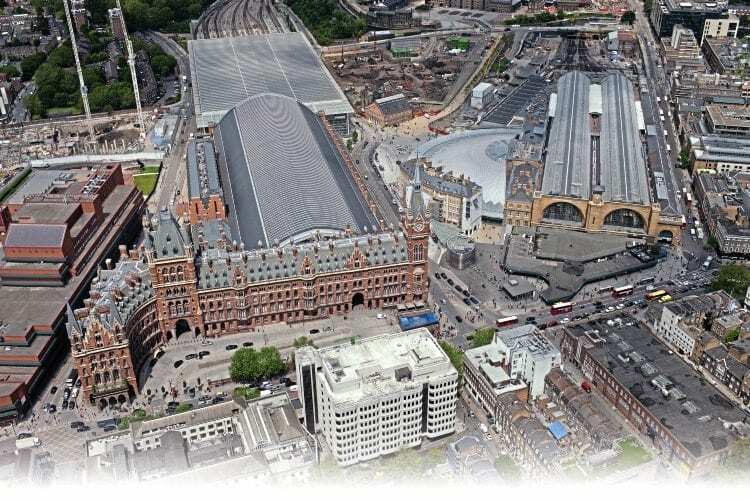 By virtue of running powers over the GN the Midland could reach King’s Cross but at heavy cost – a £20,000 annual premium and a burdensome surcharge of 1s 9d per ton on freight. The arrangement was unsatisfactory from the start. Inevitably the GN gave priority to its own traffic, and at times southbound MR coal trains were backed up from Hitchin to Bedford. For passengers there were no through bookings available. Although the GN had allocated part of King’s Cross goods yard to the MR this could be no more than a temporary measure for within five years the Midland was bringing an unprecedented 800,000 tons of coal a year to London. It was the first company to do so. With the intention of building its own coal yard the MR began buying large parcels of land west of King’s Cross, and beyond that was a slowly coalescing scheme to build an independent line to London. It was the events of the summer of 1862, the year of the second Great Exhibition, that forced the Midland’s hand. 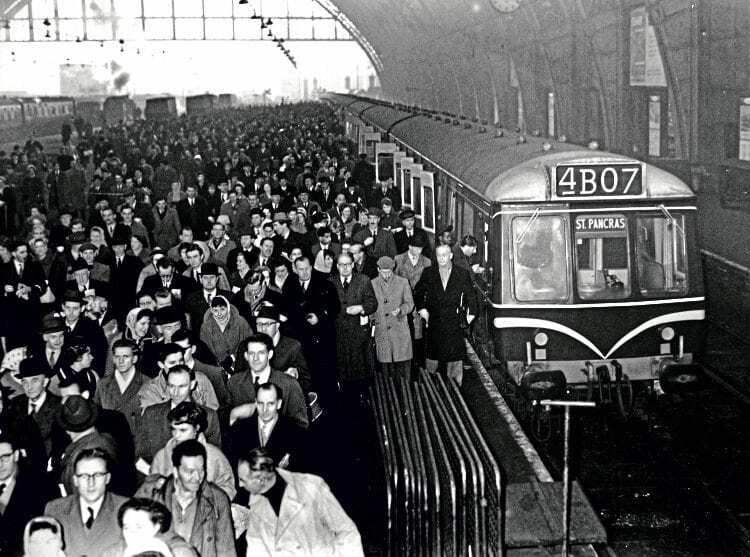 Pressed to desperation by the sheer weight of excursion traffic, the GN demanded the Midland evacuate the rented sidings so temporary platforms could be put in. The Midland objected and was duly evicted by force. As a consequence the Midland felt obliged to act, and by the autumn of 1862 was already surveying a route from Bedford to London via Luton, St Albans and Hendon. It was a tract of country hitherto devoid of north-south railways and equidistant from the LNW and Great Northern trunk lines. The Midland Railway (Extension To London) Act reached the statute book on June 22, 1863 and authorised the expenditure of £2,333,350 on the 49½-mile line. That was wildly optimistic – Professor Jack Simmons estimated by completion 13 years later the company had spent more than £5m of capital.